With over 25 Years of Experience, Stone Made Drives are able to provide a full and comprehensive service laying top quality paving for gardens and driveways in Kent. We cover all aspects of paving and landscape gardening services, which includes block paving, patios, artificial grass, fencing and landscaping including removing tree stumps. If you need disabled access to the front and back of your property, a new brick wall or maybe some steps, then we can help. We also specialise in laying resin bound driveways to our customers in Maidstone, Chatham and other towns in Kent. This type of driveway is really popular due to it being durable and low maintenance. 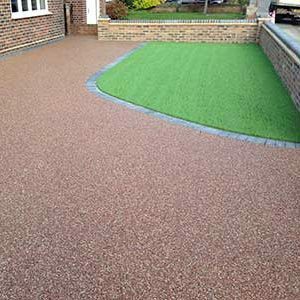 Resin bound can be laid on top of existing driveways made from concrete and asphalt. We have extensive knowledge of paving materials, we are able to offer you the complete range of patio and block paving options. We use the most current and correct procedures to ensure your landscaping service is safe and secure, paying particular attention to drainage. We offer a five-year guarantee on the materials and the work that is carried out by our specialist team. We also offer a repair service to all our customers in Kent who find themselves with sunk / misaligned block paving. Find our more about Kent’s Favourite Driveway and Landscaping Company. There is a wide range of high quality products available that will transform the look of your home. For driveways, you can choose from the more economical ranges, which will create an attractive yet practical surface. There are the more intricate designs, which maybe more expensive, but are truly stunning in appearance. For patios, the options of materials is vast, we are able to guide you to a solution that matches your budgets and property type. With economical utility surfaces available through to some of the top of the range paving slabs. There is even the real thing, Natural Stone. Natural Stone can transform any surface, driveway or patio area into something spectacular. Stone Made Drives do not request a deposit or any payment before work and materials are ordered like other block paving companies in Kent. This is because we are so confident with the work we do and know that you will be happy with the project once we have finished. For the relatively small investment in your property you will be able to create a truly distinctive and beautiful home. We provide a range of landscaping and fencing services that are designed to make the most of your outdoor space whilst protecting it. Through our unrivalled expertise and extensive knowledge of the industry, we at Stone Made Drives offer the best landscaping services throughout Kent and the surrounding areas. We pride ourselves on the beautiful spaces that we have created for our clients and are able to design the perfect garden that is specifically tailored to your own personal preferences. 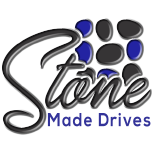 Whether you have a clear idea of how you want your front or back garden to look or if you want our landscaping contractors to take care of the entire design process, Stone Made Drives are able to offer you the service you have been looking for. Through our vast range of materials and ability to work in both large and small spaces, we will provide you with a quality landscape that you will not get anywhere else. space and add a certain aesthetic appeal. This is why we work to the highest of standards offering our bespoke services at a competitive price. It does not matter whether you want somewhere to entertain your guests or just an outdoor area to relax in on a sunny afternoon, we are the landscaping experts when it comes to bringing a garden back to life. Whether you want a driveway that looks traditional or something a little more contemporary, we are able to provide exactly what you are looking for. There are a wide range of designs, paving slabs and colours available on request. Stone Made Drives maintain a level of expertise and professionalism that cannot be matched in the world of driveway installation. Our extensive knowledge of the different materials and how to apply them means that we are able to provide you with a driveway that is not only practical but will look amazing. Whether you want a small tarmac drive or a large brickwork surface, we are able to design and install a driveway tailored specifically to your requirements. Our experts are always on hand to give you any advice needed to achieve the best possible outdoor space. We will make your driveway the envy of the whole neighbourhood.